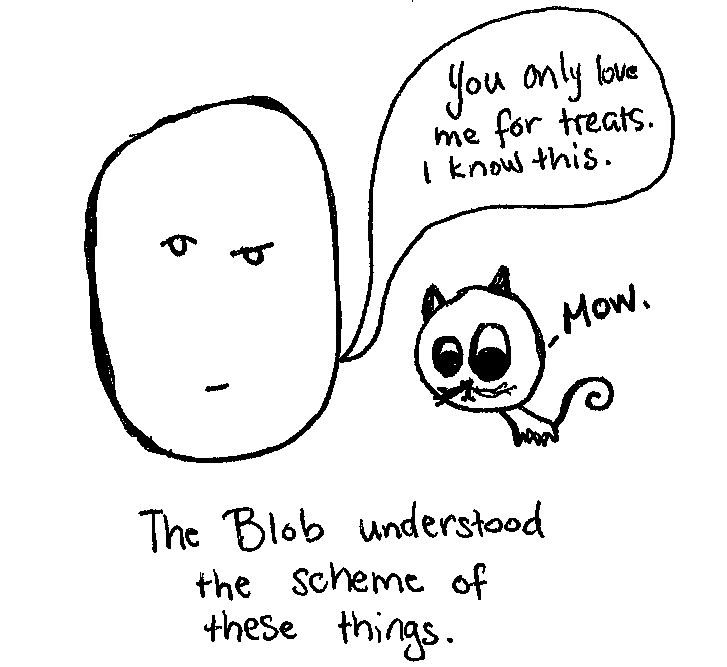 Today’s Blob comic was inspired by my roommate’s gray tabby kitty, Stuart (lady cat named after famous literary dude mouse). This cat, much like other cats, mostly only loves me when I offer treats, pets, or opportunely timed snuggles, which is to say mostly after Katie leaves for work or is out-of-town for the weekend. What about you folks? Do you have a kitty? A puppy? A gerbil? A pet rock? This entry was tagged blob, Cat, Hello Kitty, Humor, One-Cat Homes, Pet, Recreation. Bookmark the permalink.